The morning started like every Monday morning, the alarm sounds at 5 am, and I begin my day by completing some morning miles on the treadmill before volleyball practice at 7 am. The only difference, an Instagram DM from a fellow runner, asking if I registered for “The Race” in Atlanta? So, the seed was planted, I had not registered, but I was very interested at that point. Three days later, registration was complete ✔️, and I’m headed to Atlanta for The Race. Exactly what is The Race? It was a half-marathon and 5k presented by the Unity Collective group designed to uplift the community. It’s race day, and as I approached the venue I could hear a version of “Lift Every Voice and Sing” being sung, and Greek Fraternities and Sororities representing in their run paraphernalia. Of course, Delta Sigma Theta (which I am a member of) was present in large numbers, wearing our run slogan "Run DST." Running with my Soror’s proved to add meaning to this race and I really needed their encouragement when I hit the wall around mile 7 or 8. I guess I should have expected this since I haven’t run more than six miles since July. The course went through historically black neighborhoods in Southwest Atlanta like the West End, Adair Park, and Sylvan Hills, which are all filled with difficult rolling hills. The crowd support was awesome, and there were D.J. ’s placed at strategic points along the course which helped to provide a form of external motivation and encouragement along the road to completion. As I approached mile 12 (another mountain), I was met by a crowd of supporters, and fellow runners who had finished the course and were cheering runners to the finish line. I noticed a small medal around the necks of some of the runners, and all I could think was, "I know that I have not run all these hills for this small medal?!". It turns out the medal that I had seen was for 5k finishers, and the half medal was a larger medal worthy of the challenge that I had just completed. The race did not end once you crossed the finish line. On Sunday runners participated in a community service project which made a further impact on the community. "The Race" was more than just a run. It was an empowering movement which not only made an impact on me as a runner but also the community and charities that benefited from this race. 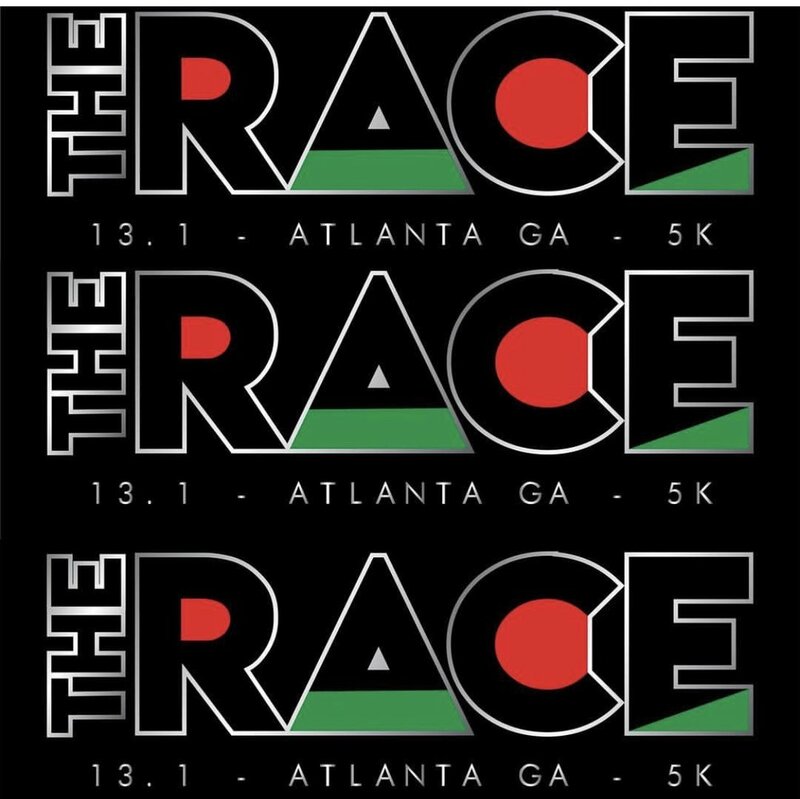 So, if you are looking for a challenging course and to race for a purpose, save the date for “The Race” 2019 in the ATL. To stay updated on this movement follow their page on IG @therace_uc. Next stop, Trinity River Run, November 10th, Dallas, Texas. I would love to see you there. Need a little more motivation and assistance? Use promo code Krista18 at the time of registration!